Do you have very flat and delicate hair? Your dream is to have a stronger hair? I found your holy grail! 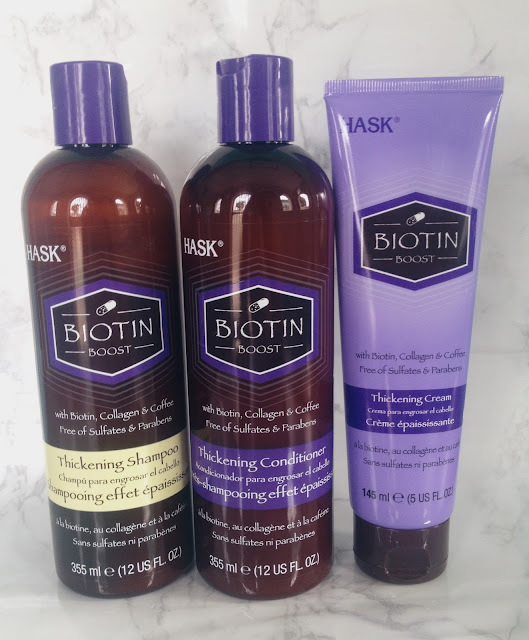 HASK’s new Biotin Boost Thickening collection available at Ulta Beauty features a triple threat of ingredients sure to give fine, lifeless strands the lift they need. 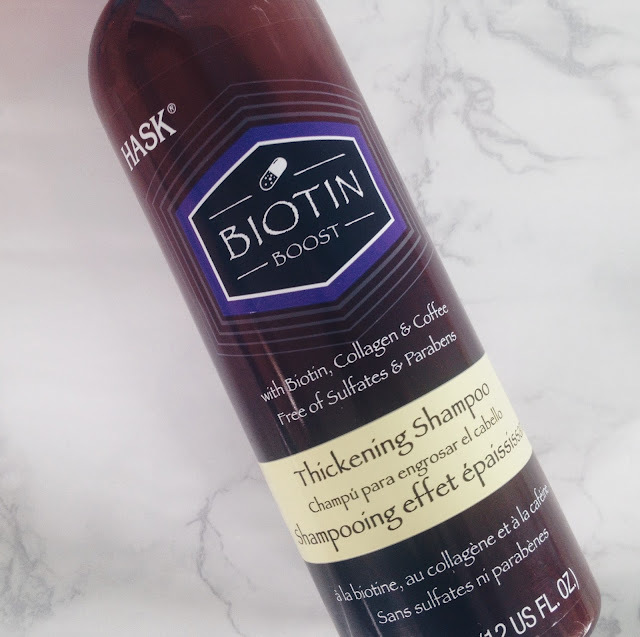 With biotin for volume, collagen to fortify, and coffee to help boost strands, this plumping trio will enhance the appearance of thicker hair without leaving it feeling heavy. 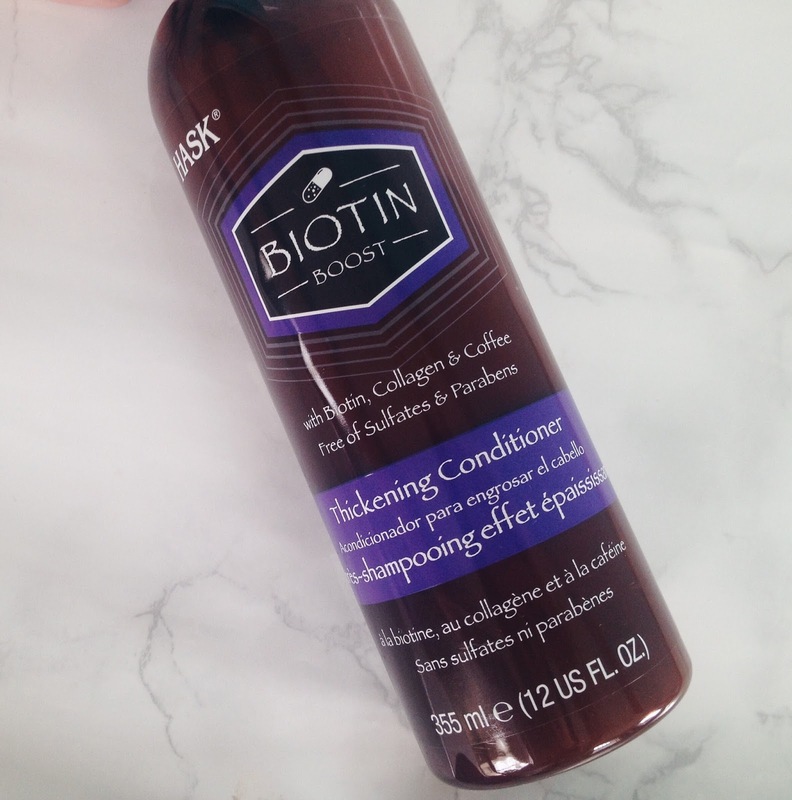 Achieving thicker-looking locks just got a whole lot easier! The biotin helps strengthen, volumize and thicken to maintain hair health, the coffee stimulates the hair follicles helping to boost strands and the collagen helps strengthen and fortify the hair shaft to protect from damage and breakage. Is FREE of sulfates, parabens, phthalates, gluten and artificial colors. Follow and like Hask Hair for more! Transform fine, flat strands into fabulously fuller hair! This shampoo works on three levels to help deliver volume — featuring biotin to help hair look thicker, collagen to fortify locks, and coffee to help boost strands. Go big or go home! Pump up flat, lifeless strands with this lightweight, thickening cream. 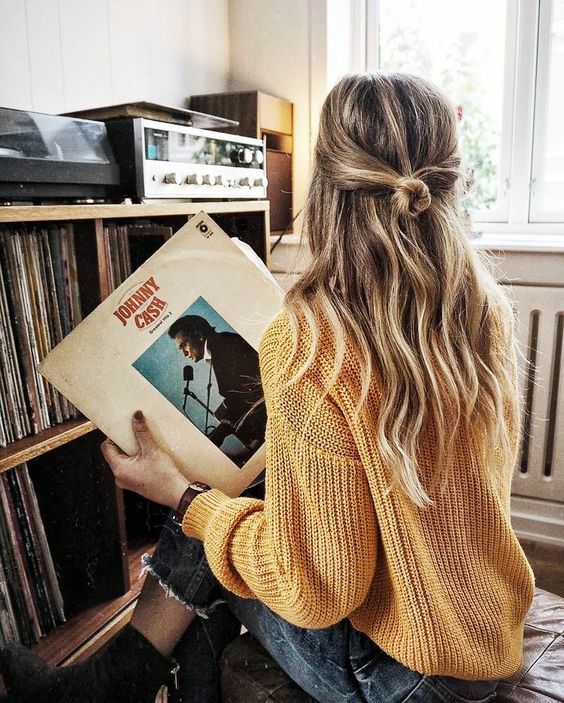 A plumping trio of biotin, collagen and coffee helps enhance the appearance of thicker hair — strands never feel heavy, sticky or stiff. Hair bounces with healthy shine, visible volume and luxurious lift.